Samsung isn't going to let a little thing like a legal sales ban stop it from peddling its Galaxy Android phones in the Netherlands, with plans afoot to launch three modified handsets for the region. The newly minted smartphones will go on sale in the Netherlands later this month, and have been created and manufactured in such a way as to circumvent Apple's claims that the devices infringe on its IP and patents. In August, the Dutch courts banned sales of the Samsung Galaxy S, Samsung Galaxy S2 and the Samsung Galaxy Ace at Apple's behest. The ban is set to come into action on 14 October; Samsung told Reuters it has fixed the problems just in the nick of time. "We've fixed the technological problem and upgraded products to address the issue. 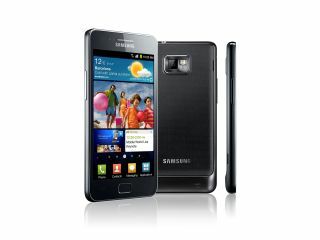 They will be shortly available for sale," Samsung spokesman James Chung said. Samsung hasn't said exactly when the handsets will go on sale, nor whether it will be rolling the upgraded versions out to the rest of the world.